VAT and Government Departments is a reference manual and a practical guide for those managing VAT in Government Departments, their advisers and key suppliers. Government Department VAT has recently been the subject of an HMRC consultation and review with new guidance published in 2015 (consolidated with revised NHS guidance). Public sector organisations must be registered for VAT where they engage in “economic activities”, especially where there is any competition with the private sector. There are special rules for Government Departments (and the NHS) under section 41 VAT Act 1994 known as the contracted-out services or COS rules (in relation to non-business activities) and Value Added Tax itself, governed by the VAT legislation (in relation to business activities). 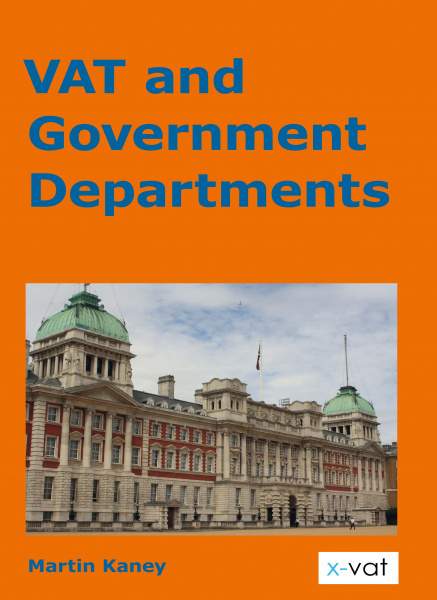 To understand VAT in a Government Department context it is essential to understand the fundamental duality in the tax in relation to the public sector. This is often overlooked and because in certain situations VAT can apparently be recovered in both contexts COS eligibility to recover and input tax entitlement on VAT incurred can be confused. Many of the areas covered in the text are complex in themselves and VAT and Government Departments does not attempt to examine all possibilities in all circumstances or to reproduce the full technical guidance or statute. The objective is to identify all of the issues in the tax relevant to Government Departments and in a logical analysis, explain these from a compliance perspective and in relation to the organisational activities of Government Departments (providing further references where appropriate if more detailed information is required). VAT & Government Departments is based on published HMRC and Treasury guidance and policy and on current case law and legislation in force as at 30th April 2015.